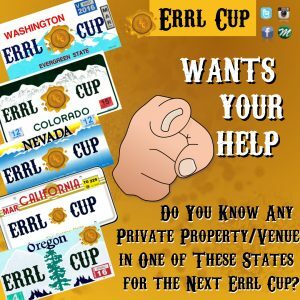 Cannabis Awards Location Needed for the next location for the Errl Cup. If you know of any private land/or private properties in any of these states you could be the next “Event Host” of the Errl Cup. We take care of our Event Hosts. Since the laws vary state to state, it would be ideal for the Errl Cup to get a private land or private own property to do the event at based on the ability to have a Patient Appreciation event. Every state is different, please contact us at The Errl Cup to find out if you can help. jim@theerrlcup.com or jay@theerrlcup.com We would be happy to discuss the possiblities.